Kashmir’s story presented by the writer here is a historical account of the tragedy of Kashmir. A tragedy that stems from a ceaseless contestation for a pursuit based on two arbitrary – and conflicting – claims put forth by Pakistan and India. The British Raj in the Indian subcontinent had always been a highly complicated affair. To run an imperial enterprise spread over half a continent, the British authorities had to create and maintain several types of territorial arrangements, much like the Mughals before it. The British had to weave an intricate web of local collaborations that included a buffer zone between India and Afghanistan, hundreds of princely states of various sizes, that had a certain degree of legal and administrative autonomy from the Raj within their borders, and many directly administered provinces and territories. The decolonisation process spelled the unravelling of this web. The two new states – India and Pakistan – that emerged from the decolonisation process could not operate under the same legal, political and administrative paradigm which the British had. The geographical unity of the two states could only be maintained if they came up with new political and legal arrangements to integrate swathes of territory, both big and small, that once belonged to the princely states. In order to deal with this challenge, the two states embarked on projects to absorb such territories into their respective borders as quickly as possible. There was no universally acknowledged single instrument to achieve this. Both states used a similar repertoire of techniques — negotiating accession treaties, making deals with local elites and, in certain cases, sending in troops to snuff out opposition. The Kashmir crisis was born out of the discontents of the twin processes of decolonisation and territorial integration by India and Pakistan. Jammu and Kashmir was a princely state which the East India Company had annexed in 1846 and then transferred to Gulab Singh of the Dogra dynasty for a payment of 7,500,000 rupees. As the British exit from the subcontinent became apparent, the then ruler of Jammu and Kashmir, Hari Singh, wished to remain independent. This was obviously not going to be acceptable to either India or Pakistan. Four major rivers originate from the Himalayas located in Kashmir and it also shares a border with China — the two factors that make it a strategically crucial region. In other words it is a prized territory. Both states, therefore, formed strategies to lay claim to it. India’s deputy prime minister Sardar Vallabhbhai Patel received an urgent letter from Prime Minister Jawaharlal Nehru regarding the situation in Kashmir. Nehru was convinced that Pakistan was preparing to infiltrate the region and foster an insurgency. He also knew Maharaja Hari Singh’s forces could not do much to stop infiltration without help from India. More importantly, Nehru realised, Hari Singh’s regime could not be sustained if its own people went against it. Sheikh Abdullah headed the largest political party in Kashmir – the National Conference – but he was a staunch opponent of the Dogra dynasty. He had initiated a “Quit Kashmir” movement before the British left India in 1947 and, hence, was imprisoned in May 1946. Nehru wanted him freed. He noted in his letter that Sheikh Abdullah was eager not to join Pakistan. His opposition to Hari Singh, therefore, was not tantamount to support for accession to Pakistan. If the Indian government could work out a rapprochement between Hari Singh and Sheikh Abdullah, Nehru suggested to Patel, Kashmir’s accession to India would become easier. A different story hid behind these public statements. On November 1, 1947, Mountbatten and his chief of staff, Lord Ismay, travelled to Lahore and met separately with both Jinnah and Liaquat Ali Khan. When he recorded the daily proceedings in his notebook, Mountbatten could not help but say the tribesmen had been acting on the express and direct command of the Pakistani leadership. Implicitly, Jinnah accepted as much to Mountbatten. “When I asked him how the tribesmen were to be called off, he said that all he had to do was to give them an order to come out and to warn them that if they did not comply, he would send large forces along their lines of communication. In fact, if I was prepared to fly to Srinagar with him, he would guarantee that the business would be settled within 24 hours. I expressed mild astonishment at the degree of control that he appeared to exercise over the raiders,” Mountbatten wrote. Pakistani strategy was to create enough pressure on the Maharaja to abdicate, to then claim that the region should become a part of Pakistan because most people living in Jammu and Kashmir are Muslims. The Pakistani government knew only an indigenous revolt could preclude India from holding on to Kashmir. But therein lay Pakistan’s greatest challenge: The Muslim League had virtually no presence in the state of Jammu and Kashmir and Pakistan had no guarantee that the people of Kashmir would overwhelmingly vote to be part of Pakistan. Pakistani leadership was aware of the problem which is why both Jinnah and Liaquat Ali Khan consistently rejected a plebiscite in Kashmir as long as Indian troops were there. “If the India Government [is] allowed to act…unfettered as [it pleases] by virtue of having already occupied Kashmir and landed their troops there, then, this El Dorado of plebiscite will prove a mirage,” read an official Pakistan statement. During negotiations with Mountbatten, Jinnah strongly objected to having a plebiscite even under the auspices of the UN, maintaining that the presence of Indian troops as well as Sheikh Abdullah’s tilt towards India would deter the average Muslim in Kashmir from voting for Pakistan. In a letter to Attlee, Liaquat Ali Khan described Sheikh Abdullah as a “quisling” and a “paid agent of the Congress for the last two decades”. In a December 1947 meeting with his Indian counterpart, Liaquat Ali Khan also questioned the efficacy of a voting process in Kashmir while it was under an India-sponsored administration. “…[T]he people of Kashmir were bound to vote, in the plebiscite, in favour of whatever administration was then in power. The Kashmiris were an illiterate and oppressed people, and they would be bound to favor the authority in possession. If an Englishman went as administrator, they would vote to join the United Kingdom,” he said. That not only the Maharaja but also the National Conference favoured India was the advantage Nehru wanted. In his correspondence with Indian politicians, he pointed out that any activity by Pakistan would look illegal and unacceptable after Kashmir had acceded to India. He was right. After the Maharaja acceded to India on October 26, 1947, New Delhi was successful in portraying to the rest of the world that Pakistan-supported militant activity was an act of belligerence. This would remain the thrust of India’s case against Pakistan for the times to come. When Mountbatten suggested that the “UNO [should] supervise and carry out a plebiscite as we had previously declared” once “law and order has been restored”, Nehru replied with a definitive no. When India had made a unilateral offer for a plebiscite after partition, he argued, Pakistan rejected it and instead chose to support chaos in the valley. It was that chaos that made the plebiscite unfeasible, he declared. Pakistan’s early policy in Kashmir obviously failed to result in any legitimacy for Pakistan’s claim. Within its borders, however, the Pakistani state was incredibly successful in cementing Kashmir as an invaluable, indispensable and eternal part of the Pakistani national imagination. Primarily, this was a function of fervent propaganda campaigns carried out by newspapers such as Dawn, Jang, Nawa-i-Waqt and Zamindar as well as through radio broadcasts and publishing special pamphlets, books and plays. Several films produced in this era also carried an explicit message that Kashmir belonged to Pakistan and it was incumbent on the Pakistani state and society to take necessary measures to realise its integration within Pakistan. 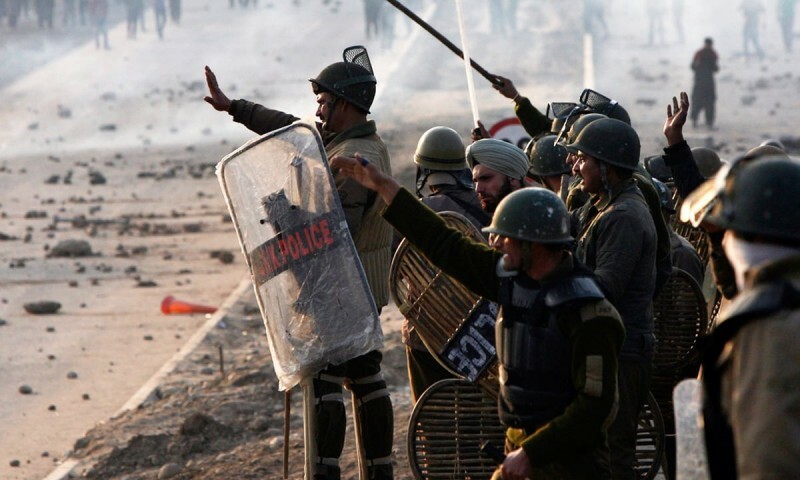 Both Islamabad and New Delhi ceaselessly try to expunge from public imagination anything that questions, albeit remotely, their official narratives on Kashmir even when the two narratives sometimes are as divergent from truth as they are from each other. In the age of decolonisation, self-determination was considered a universal right and carried far more weight than the two-nation theory. Highlighting its absence as the core reason for the problem in Kashmir, indeed, forced India on the defensive. On several occasions, Nehru had to give assurances that a plebiscite would eventually take place and that the mandate of the Kashmiri people will be respected. This apologetic Indian reaction convinced the Pakistani ruling elite that if it needed to force India to a negotiating table, it needed help — from powerful friends. Sir Gladwyn Jebb, the British representative to the UN, handed a draft resolution on Kashmir to his Indian counterpart Vijaya Lakshmi Pandit who hurriedly wrote to Nehru, telling him that Britain and the United States were prepared to take the matter to the UNGA if India did not move within the next 30 days. A debate in the General Assembly and a possible resolution against India could be a national embarrassment, she said. Nehru was aghast. “Have the English learnt nothing at all during the last few years? I am not thinking so much of their draft resolution, although that is bad enough, but rather of the way they think they can bully us. If there is one thing that all the powers in the world cannot do, it is to bully us,” he wrote in his feverish reply to Pandit. Nehru’s frustration with Britain and the US had been growing for the past couple of years. He believed British and American patronage was the chief reason why Pakistan was being abrasive towards India. The Pakistani establishment, indeed, was seeking political and military support from the two countries in return for strategic loyalty. Quickly though, the Pakistani elite realised that its efforts would have to be directed mostly towards the US as Britain had little economic and political clout left in the post-World War II era. While the sun was setting on the British Empire, the American pursuit of hegemony in the postcolonial world had just begun. Such provocations, mirrored relentlessly by the Pakistani press and radio, could only lead to an atmosphere full of deep acrimony where conflict was celebrated and peace was mocked as a manifestation of weakness. In 1954, a pamphlet entitledFatwa was published in Pakistan which contained virulently anti-India contents with reference to Kashmir. The Indian High Commission in Pakistan requested the Pakistani government to withdraw the pamphlet. The request was turned down. In these politically charged circumstances, Bogra and Mirza could not make any concessions without risking the fall of their government. The same militaristic narrative that the Pakistani state was actively promoting, thus, circumscribed its negotiating power. When the two sides returned to the negotiating table the next day, Bogra produced a map of Jammu and Kashmir. It was divided into two parts: the Hindu areas which amounted to a few districts around Jammu were coloured yellow while the rest of the map was coloured green to indicate the Muslim majority areas. The Pakistani delegates suggested a “large area of the Jammu province including Poonch, Riyasi, Udhampur” could go to India along with the “possible transfer of Skardu to India”. Azad, at that point, stated that India could at best agree to concede some parts of Mirpur district alongside Poonch to Pakistan. For Nehru, the acceptance of Pakistani proposals was as good as an Indian “defeat and the dictation of terms” by Pakistan which, he said, no Indian government could accept. Mirza responded by stating that all he could do was report back to his government in Karachi. And on that inconclusive note, the negotiations ended. Although the talks achieved nothing, they clearly depicted that Kashmir had turned into a territorial dispute. The ultimate object on the negotiating table was a map — a cartographic representation of space bereft of people and their history, identities, voices and relationships. 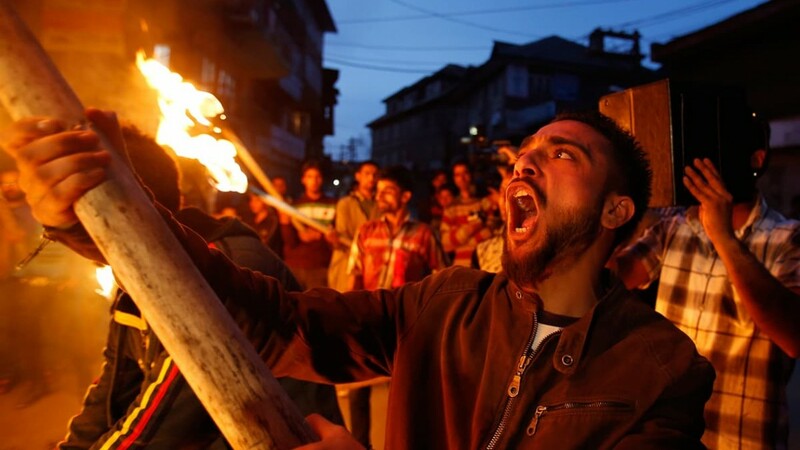 The Kashmiri ‘self’ – which Pakistan ostensibly wanted to guard under the banner of Islam and which India wanted to protect under its constitution – was actually considered wholly fluid and expendable, something that could be cut up by the two states wantonly. The important question was not whether to cut Kashmir or not — it was how to go about cutting it. And so it has remained since then. A young Zulfikar Ali Bhutto was hunched over a sprawling map of Kashmir, surrounded by the delegates he was leading as Pakistan’s foreign minister. They were in the middle of the third round of talks with their counterparts from India. The first two rounds had taken place in Rawalpindi and Delhi. The agenda was now a familiar one — the drawing of a boundary that could divide Kashmir between India and Pakistan. The Pakistani delegation was anxious. “We must draw lines on the map,” they insisted. As ever, it seemed an impossible exercise. Swaran Singh, India’s foreign minister and the head of the Indian delegation, drew a line on the map indicating his side’s “readiness to concede in favor of Pakistan the rich forest areas in the north, on both sides of the Kishenganga River”. He also suggested that India was ready to concede some more areas in the west and north of the Kashmir valley. The Pakistani negotiators appeared shocked at the meagreness of his offer. Bhutto prepared a counter offer — only Kathua, a district on the border with Punjab, and some adjoining areas from other districts would go to India while Pakistan would be entitled to all the others areas up to Ladakh in the north-east and including Srinagar, Jammu, Udhampur and Riyasi districts. The Indians immediately shot down these suggestions as “ridiculous”. The invasion by the “Azad Forces” led to massive retaliation by the Indian military not only against Pakistan but also within the state of Jammu and Kashmir. An intense military campaign was started to rid Kashmir of outside elements as well as any local pro-Pakistani activists. Bhutto perhaps believed that placing such a huge demand would compel the Indians to revise their original offer, convincing them to give up more territory. Singh, however, was determined not to cede anything more than he had offered. He said he was willing to accept an end to the talks, seeing little point in another round scheduled in Calcutta that March. The angst, the arguments and the outcome — nothing that happened in Karachi was unexpected but the world in which these talks took place was being critically transformed. Tensions rose between India and Pakistan exponentially when the China Pakistan Boundary Agreement was officially signed on March 2, 1963. The agreement sought to “delimit and demarcate” the boundary between China’s Xinjiang region, and its proximate regions, which formed part of Kashmir under Pakistan’s control and resulted in the demarcation of a new international border and a territory exchange between Pakistan and China. As a result of these developments, China ended up controlling all of the present-day Xinjiang region. Through the agreement with China, Pakistan made two noteworthy gains. Firstly, it consolidated its relationship with China, signalling to both India and the United States that Pakistan had a powerful friend in the region. Secondly, by negotiating – and reaching an agreement – with China on a border in Kashmir, Pakistan was able to establish its sovereignty over those parts of Kashmir which it controlled. This was a major setback to Indian claims that the entirety of Kashmir was an indivisible whole and an unquestionable part of India. Once China established its writ over the areas it had received through the agreement with Pakistan, it became virtually impossible for India to reclaim them without going to war with China. The Indians took the matter to the Americans, raising alarm over how a Pak-China alliance could wreak havoc in Kashmir. The Americans, however, assured the Indians that they had been guaranteed by the Pakistanis that there was no secret deal between Pakistan and China. The American assurances did little to assuage Indian concerns. Over the course of the next year, relations between India and Pakistan plummeted even further. In early 1964, India redesignated the heads of state and government in Jammu and Kashmir as “governor” and “chief minister” – instead of Sadr-e-Riasat and Prime Minister – and called for the hoisting of the Indian flag on government buildings in the state instead of the state’s own flag. In September that year, Pakistan followed suit in its part of Kashmir by replacing the Azad Kashmir flag at the President’s House in Muzzafarabad with the Pakistani flag. On September 19, 1965, however, China issued an official message to India, demanding that the, “Indian Government dismantle all its military works for aggression on the Chinese side of the China-Sikkim boundary or on [the] boundary itself before midnight of September 22, 1965.” China also demanded the return of four kidnapped Tibetan inhabitants, 800 sheep and 51 yaks alleged to be captured by Indian troops. The Indians responded to these Chinese demands with deep agitation. “…[T]he Government of India cannot but observe that China taking advantage of the present unfortunate conflict between India and Pakistan is concocting without any basis casus belli in order to commit aggression against India.” These protestations clearly suggested that India could not afford a simultaneous conflict with China and Pakistan. A defeated Amir Abdullah Niazi officially surrendered to his Indian counterpart General Aurora and in doing so announced the end of Pakistani sovereignty over what had been East Pakistan since 1947. 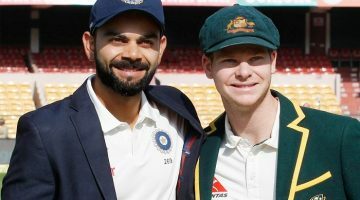 India’s victory was complete. Militarily, the Indian army had enjoyed tremendous success and 93,000 Pakistani soldiers and officers were now in its custody. In the West, India had thwarted the Pakistan Army’s initial advances in Chhamb and other parts of Kashmir and, instead, occupied several territories in Pakistan including Thar. The cataclysmic events of 1971 were obviously incredibly significant. Equally noteworthy is what did not happen. India, for instance, did not try to take over the Pakistani-controlled part of Kashmir. The reason was American pressure on the Indian government to refrain from taking the war into Kashmir. The Americans argued that any Indian action in Kashmir could precipitate a much larger war involving China, the US and the Soviet Union. D P Dhar, chairman of India’s Policy and Planning committee and a key part of India’s diplomatic endeavours before, during and after the 1971 war, admitted that the American intervention had prevented India from making territorial gains on the western front. He was speaking immediately after the signing of the Simla Agreement. The Indian reply was dismissive: “India categorically states once again that Jammu and Kashmir is an integral part of India. The question or the need for conducting any plebiscite in any part of India including in the State of Jammu and Kashmir simply does not arise.” The Indian side also claimed that Pakistan had only restated its preconditions for talks through the non-papers. The stalemate thus persisted. 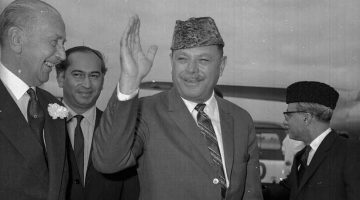 In 1996, Farooq Abdullah once again formed a government in Indian-administered Kashmir with support from Congress. Meanwhile in Pakistan, Benazir Bhutto’s second government was toppled and Nawaz Sharif became prime minister, for the second time, in 1997. Amid all these changes, relations between India and Pakistan were following what by then had become a familiar pattern: talk of peace ran parallel to talk of war. The Kargil War was envisioned as a covert operation; which is why Pakistan initially stressed that an Indian assault was aimed at the Kashmiri mujahideen and that Pakistan had sent its troops to the border only in self-defence. But the massive retaliation by India – known as Operation Vijay – compelled Pakistan to seek American mediation for an immediate ceasefire. This showed India that it could neutralise a military attack by Pakistan, the latter’s nuclear capability notwithstanding. Beginning in June 2004, India and Pakistan resumed their Composite Dialogue — a process of negotiations that requires simultaneous progress on eight contentious subjects including Kashmir, terrorism, water sharing, nuclear weapons and territorial disputes. In September that year, the two sides decided to set up a mechanism for holding backchannel negotiations on Kashmir. Over the next couple of years, serving and former diplomats and officials from the two countries would hold secret meetings to come up with a formula for a negotiated settlement of the conflict. Publically, too, the two governments sought to mend relations and appeared happy with the progress they were making. Manmohan Singh, who became India’s prime minister in 2004, however, made it clear to Pakistan that the border in Kashmir could not be redrawn. It could be allowed to become “irrelevant”, though, by letting the Kashmiris travel across it with ease. This eventually led to the historic opening of the Muzaffarabad-Srinagar Bus Service in April 2005. This is how an official Indian spokesman summed up the situation: “If Pakistan really wants to convince the people of India that we are working against terrorism then it can take some action immediately. For example, the self-styled chief of Hizbul Mujahideen, Syed Salahuddin … should be arrested and handed over to India.” The spokesman also called for an action against Jamaatud Dawa. “Instead of their saying that Jamaat-ud-Dawa is being kept under close watch, the organization should be banned and its leader should be arrested.” A few months later, Musharraf met Singh in Havana and the two sides agreed to set up a joint antiterror mechanism. It remains a matter of conjecture if Musharraf was truly committed to a peace deal but the undemocratic nature of his regime allowed him to exhibit flexibility that a civilian government could not afford. At one stage, a bilateral agreement appeared extremely possible. “We were down to the commas,” Kasuri later told Steve Coll of the New York Times. While Pakistan insisted it had to take into account Kashmiris’ sentiment, the conspicuous absence of any Kashmiri representation in the process was hard to miss. 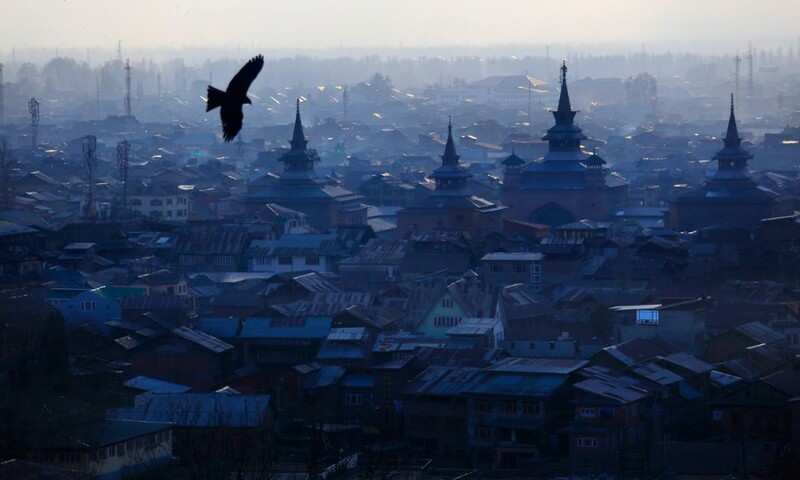 After 60 years of going through political suppression, geographical and social divisions and wars, the Kashmiris were still largely absent from a negotiation table laid down to decide their destiny. It would appear that Pakistan and India were on the precipice of a “deal on Kashmir” when the peace process was thwarted by the political turmoil that engulfed Pakistan in 2007 and continued well into 2008. While driving on The Mall, one is likely to spot autorickshaws carrying a certain poster on their backs proclaiming that Pakistan has the right to get Kashmir back from India. The poster also exhorts: “Pakistan can only survive if it keeps its ideology intact.” Together, the two slogans have long served as the bedrock of a state-driven national narrative that sees Islam and Kashmir as its twin foundational pillars. Across the LoC, India’s grip on Kashmir has never been stronger. With half a million soldiers stationed there, Kashmir is the most densely militarised area in the world. 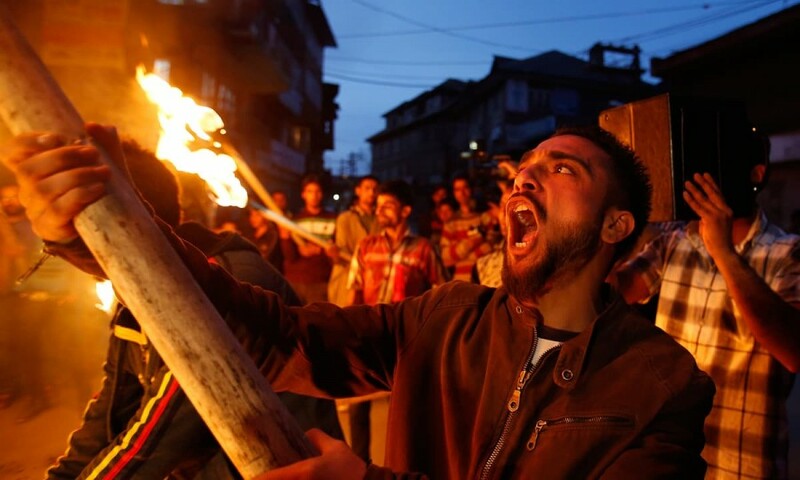 And enjoying an across-the-board political support for counterinsurgency measures, Indian governments of different ideological persuasions have felt no qualms in perpetuating a reign of terror against the Kashmiri civilians found protesting on the streets. Chauvinistic and jingoistic rhetoric and policies prevail in both India and Pakistan as far as their stances on Kashmir are concerned. The two governments keep assuring their electorate of the legitimacy of their position as well as their preparedness for war. The rest of the world, meanwhile, remains a faithful, but passive, audience to a Kashmiri spectacle, in which the same characters are condemned to perform the same acts with the same tragic outcomes. This was originally published in Herald’s 2015 issue.